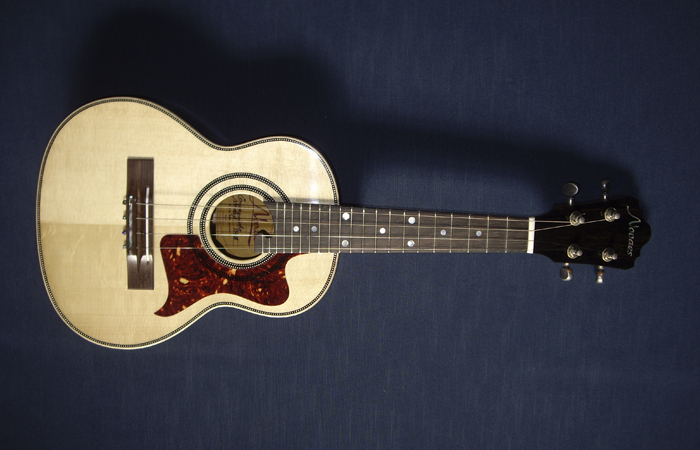 The Cavaquinho – It looks like a Ukulele and so it should. The Cavaquinho is a Portuguese instrument that has, in one form or another spread around the world. In the hands of Portuguese immigrants it traveled to Hawaii in the nineteenth century and under went some changes. With the adoption of gut (nylon) strings and tuning systems peculiar to the islands it became part of a whole new genre of music – Hawaiian music. The sound of the Ukulele instantly conjures up images of the islands – trade winds, surf, palm trees, grass shirts and hula girls. Of course since that time the instrument has traveled back across the world and, in recent years, has undergone a resurgence in popular interest. In the meantime the original Cavaquinho has remained popular in Portugal, Brazil and the Cape Verde islands. Although Portugal had colonies in Angola and Mozambique the Cavaquinho doesn’t seem to have become part of their folkloric traditions. But it is in Brazilian Choro that the instrument has it’s most noticeable impact. Choro is the most Brazilian of all musical styles and it grew out of the European Salon music tradition imported into Brazil and spiced up with local samba style rhythms. In one form or other the style has been around for a hundred or more years. In that genre of music the Cavaquinho, the Pandiero (Brazilian tambourine), the Seven String Guitar and the Bandolin (5 course mandolin) create music that is very melodic, rhythmic and harmonically sophisticated and somewhat uniquely Brazilian. Although the instrument is not in common use in Canada, Godin Guitars in Quebec manufactures a unique version of the instrument that can hold its own in the company of the more traditional instruments. It is a hybrid steel strung instrument tuned Brazilian style D G B D. Basically, that is an an open G tuning, a octave higher but almost identical, to the top four strings of the acoustic guitar. The difference is that the top string on the Cavaquinho is tuned down to D. Speaking from experience it was tempting to just tune the guitar like a Cavaquinho and play it as such. It was good idea at the time but basically it doesn’t work. The Cavaquinho has a very short scale length and the normal Cavaquinho Choro stretches from the 1st and 2nd to seventh fret are dam near impossible on the guitar. Beside it does not have the nice high traditional Cavaquinho sound. 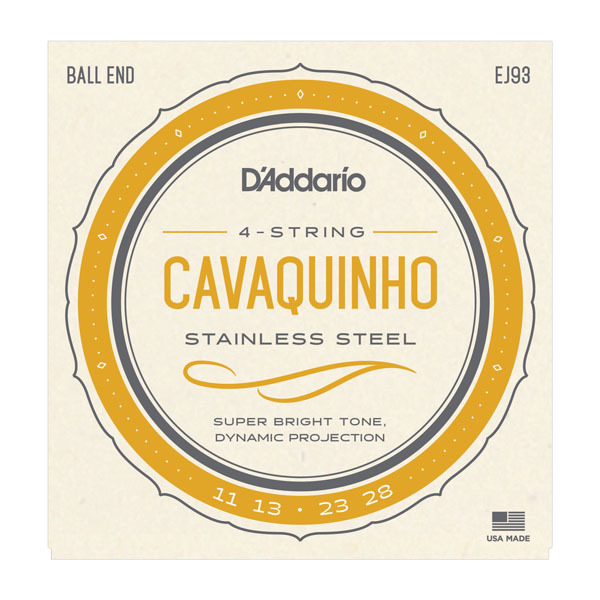 D’Addario manufactures stainless steel ball end strings (EJ93, gauges 11-13-23w-28w) specifically for the Cavaquinho and are available from a number of on line sites. It is unlikely you will find them in your local music store. The Godin instrument is equipped with their signature on-board electronics that is virtually free of feed back. In that regard, and in other manufacturing details, the Godin Cavaquinho is similar to their acoustic and semi-acoustic Nylon Classical, Multi Oud and Seven String Guitars. So, that’s the background so now for the sounds. The first three videos below demonstrate, for me, the attraction of the Cavaquinho and Brazilian music in general. These young musicians look like they are having fun. The guitar in the first and third videos are obviously Godins. In the third video the guitarist is throwing in some very interesting chord progressions. All three tunes are pretty well classics in the Brazilian Choro repertoire. There a lots of Cavaquinho tutorials on YouTube and the approach they use to teach the tunes has, for me, a lot of appeal. The first tutorial, Garota de Ipanema is better known as the The Girl from Ipanema, by the well known Brazilian composer Tom Jobim. The tune is probably the most recorded composition on the planet. I have lost count of the number of Cavaquinho and Brazilian Guitar tutorials that are available on YouTube so there is plenty out there to explore. I know local musicians aren’t likely to stumble on or acquire a Cavaquinho but the above videos might just attract some interest in the instrument or also in that very rich and varied world of Brazilian music. This is only the tip of the iceberg. This entry was posted in MUSIC and tagged music, roots music by Rod Wilson. Bookmark the permalink.